Hillary Clinton wins Nevada. Things are now looking up for the front-runner. 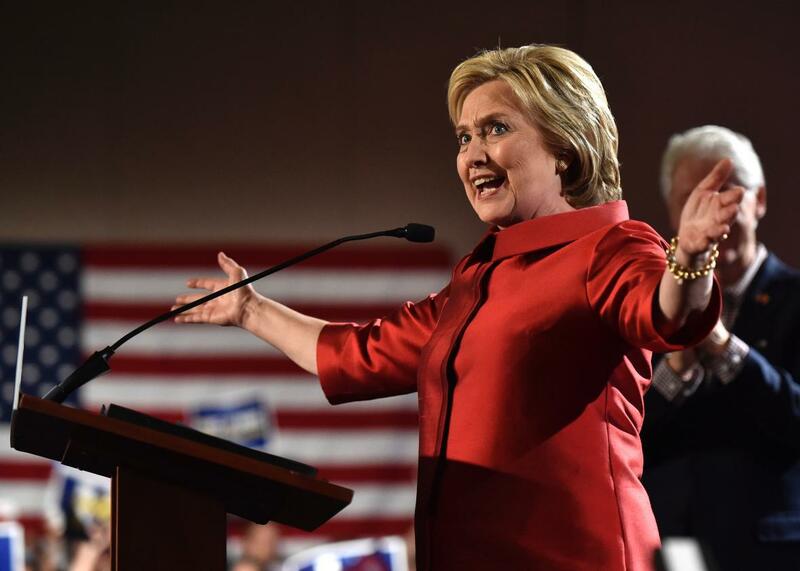 Hillary Clinton speaks to supporters in Las Vegas after being projected to be the winner in the Nevada Democratic caucus on February 20, 2016. Hillary Clinton won Nevada’s 2016 Democratic caucus on Saturday by what looks like it would be a close but comfortable enough margin. With 81 percent of precincts reporting, the former secretary of state led Sen. Bernie Sanders by more than 4 points, 52.1 percent to 47.8 percent. We’ll have to wait for the final tally but it’s clear that Clinton’s margin of victory will be considerably larger than her historically narrow win in Iowa, where she bested Sanders by less than a third of a percentage point. It will also be considerably smaller than Sanders’ win in New Hampshire, where he came out on top by a whopping 22 points. More important than the size of the victory, though, is the victory itself. The result will calm the nerves of Clinton’s supporters, while also giving her some much-needed momentum ahead of next Saturday’s South Carolina primary, which she is favored to win easily. Assuming Clinton does prevail in the Palmetto State next week, she will then be set up nicely heading into Super Tuesday on March 1, which will include similarly friendly territory in the form of southern states like Arkansas, Alabama, Tennessee, Texas, and Virginia. The rest of March, meanwhile, includes several big, delegate-rich contests that Clinton won eight years ago during her battle with then-Sen. Barack Obama, including Michigan, Florida, and Ohio. Taken together with the results in Iowa and New Hampshire, there’s no doubt that Sanders has become a much more formidable challenger to Clinton than anyone expected when he jumped into the Democratic race last year. The problem for Sanders, though, is that his narrow path to the nomination will become slightly narrower now that he came up short in Nevada, where an upset victory could have given him a major boost before the nominating contest heads south. And what about Clinton’s much-hyped firewall in states with large proportions of minority voters? The early results paint a somewhat blurry picture when it comes to Hispanics and Latinos. According to early entrance and exit polls, Sanders won among that demographic, 53 percent to 44 percent. Those numbers, though, appear to be at odds with the reality on the ground in Hispanic-heavy areas around Las Vegas, many of which favored Clinton. As FiveThirtyEight’s Harry Enten noted, the map of 2016 looks a whole lot like the one from 2008, when Clinton won the state and entrance polls showed her winning handily among Latinos. The picture is much clearer—and more troubling for Bernie—among black voters. According to exit and entrance polling conducted by CBS News, Hillary was the clear favorite among black caucusgoers by more than a 3-to-1 margin, with 76 percent backing her compared to only 22 percent who caucused for Sanders. As the New York Times’ Nate Cohen points out, meanwhile, Clinton dominated in six of the state’s majority-black precincts, winning 96 delegates to Sanders’ 7. If Sanders can’t find a way to make serious inroads among black Democrats before the end of the month, Nevada could be only the first in a string of defeats in the nominating contests to come.